GMC Denali is the signature package at the top of the GMC lineup that offers Rome pickup truck and SUV shoppers access to an excellent line of luxury features, sophisticated amenities, and advanced technology and safety features. 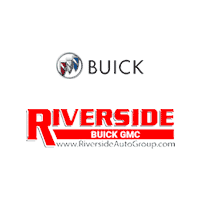 Riverside Buick GMC has a large selection of GMC Denali models available, and our team will help find the vehicle better suited for your lifestyle and budget. Comfort-Focused: GMC Denali models have insulated cabins, so your drives are quiet and comfortable. They also come equipped with heated and power adjustable front seats, while some models add heated rear seats. Style: The Denali interior features luxurious leather upholstery with French stitching that’s paired with premium aluminum trim accents and soft-touch materials throughout the cabin. The head-turning exterior features chrome accents, LED signature lights, and premium wheels. Connectivity: Stay connected while on the Canton roads with the Buick infotainment system that includes Apple CarPlay™, Android Auto™, SiriusXM®, and a 4G LTE Wi-Fi connection. Safety: The GMC Denali’s Driver Alert safety technologies use advanced cameras, sensors, and radars for their features like Forward Collision Warning, Adaptive Cruise Control, and Lane Departure Warning. Riverside Buick GMC proudly offers a high-class lineup of used and new GMC Denali vehicles for Rome-area families. Once you’ve found the vehicle best suited for you, stop by our %%di_city% showroom for a test drive. Be sure to browse our current vehicle specials and see how you can save on your purchase! Have questions? Contact us today!